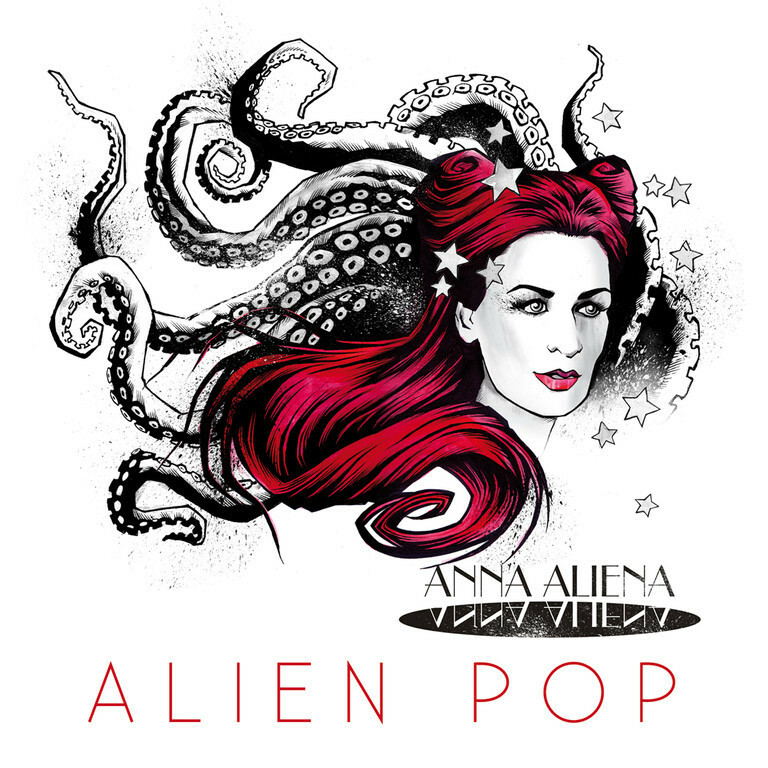 Anna Aliena has often claimed that she was making ‘alien pop’. Her third EP Alien Pop (release date: August 6th, 2013) is a vast celebration of her individual genre. Under the label of alien pop the songwriter has allowed herself all kinds of stylistic blendings and extravaganzas. This record is also a tribute to Queen singer Freddie Mercury and pop countertenor Klaus Nomi who died 30 years before its release. Catchy choruses, danceable beats and the imaginative cover drawing by graphic designer Tim Brackmann build a bridge between pop music and opera.